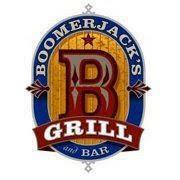 BoomerJack's will quickly become your favorite Grill and Bar. Our full menu includes our freshly prepared 1/2 pound burgers, hand-battered onion rings, fresh-cut fries, and much more! Come enjoy our all day, every day Happy Hour. Visit our website for our daily specials which includes $.69 wings every Tuesday. Our Arlington Highlands location has 55 HDTV's for you to enjoy every sporting event. BoomerJack's Grill and Bar combines an exciting atmosphere for all ages, delicious food and drinks at great prices, and a beautiful establishment that extends to a huge patio for year-round enjoyment. Come see what everyone is talking about!